TUESDAY MORNING UPDATE - I need at least one more day off. I'm 50-50 about doing the blog tomorrow or just waiting until the next one on Monday. My voice is mostly back and so I was able to attend the USATT board teleconference last night. Left eye got better, now both eyes look only slightly reddish and saggy. Strangely, the infection seems to have moved into my lower left lip, which is now swelling and puffing out like a cartoonish snarl. I'm still going though Kleenex like former world #1 Mikael Appelgren used to go through sponge. (He was known for changing the sponge on both sides of his racket before every match.) About every half hour I go into a hacking fit as I cough up strange looking stuff. I may do an emergency supermarket run today for Kleenex and soup. Meanwhile, here's a new video: Never Give Up! (5:41). Alas, I've come down pretty sick with Conjunctivitis, i.e. pink eye. It's an almost cartoonish name and I didn't know anything about it until yesterday. I came down with what I thought was a cold early last week. On Saturday morning my left eye was literally crusted shut, and all red and puffy. It was also spreading to my right eye. I was coughing up green stuff and going through boxes of Kleenex. My voice was down to a croak and my throat is on fire. Making things worse, I had to run the MDTTC February Open this weekend. On Sunday early afternoon I finally left and saw a doctor - at that point I looked like Frankenstein's monster. Assistant Director Klaus Wood took over, with help from Greg Mascialiano and half a dozen of our local juniors, who are great at data input. I went to Medical Access, which is open seven days/week. After examining my eyes, ears, and throat, the doctor's exact words were, "Wow! It's spread everywhere." (Both eyes, both ears, sinuses, throat, lungs.) I'm now on what she called the strongest antibiotics available and some sort of anti-bacterial eye drops. So . . . does anyone want to come over and shake my hand? Here are the results of the JOOLA MDTTC February Open - and now I'm going back to bed. (UPDATE - the ratings were processed already on Monday afternoon.) No blog today, and I'll wait until tomorrow to see if I can do it then. We have a USATT Teleconference tonight at 7PM. I'll probably attend, but my voice will be pretty bad. And here's a new Table Tennis, Best Of video (7:33). Straighten the Belt, and the Rest Falls into Place. In the Thursday Beginning Junior Class, we introduced the players to fast, deep serves, using the same method I'd used previously: I put a water bottle on all four corners of each table, and a piece of string across the table about ten inches from the end-line. The players then tried to serve and hit the bottles where the first bounce was past the string. We also did a recap on forehands and backhands. We then finished with the usual games - up-down tables for the older ones, build and then knock down pyramids of cups for the younger players. In the Sunday Beginning Junior Class, we focused on footwork, and demoed most of the main types. Near the end of the training segment we had a forehand-to-forehand contest, where they tried to see how many they could get in a row. (I think the high-score was 82.) We finished with the same games as the Thursday class. In the Talent Development Program on Sunday (advanced juniors), we did lots of multiball training, and then a number of table drills, followed by physical training with various ladder drills. We finished with Brazilian teams. One of the players surprised me by his improvement - when we chose up teams, I thought he was one of the weakest, but he started by scoring the first six points in a row, and was consistently the best player the rest of the game. He practices regularly with his dad, a 2000 player, and is moving up fast. Another player surprised me with how good his serves are getting. I told him I could see he had been practicing them, and he pleasantly surprised, but couldn't figure out how I knew, at first thought I must have been spying on him! I explained that a coach can always tell if someone has been practicing their serves by how much their serves are improving!!! I'll be running the tournament next weekend at the Maryland Table Tennis Center. Events often fill up by Thursday or even Wednesday, so enter early! Most events have a 24-player limit. Use the Omnipong link and enter online!!! Editing the first draft of the USA Nationals entry form (8 pages). It'll likely be out by Feb. 15. Creating the MDTTC February Newsletter. Updating the USATT coaching tests, which not only are out of date (they still have USATT Magazine listed as a USATT benefit and other things like that), but to my horror I found that some of the answers on the answer key aren't correct, and some of the questions misleading. (I inherited this - who knows how long it's been like this.) So I had to go through the 20 questions each on the Instructor, Club, and State coaching tests and do updates. Also, USATT had lost the originals, so I had to copy from PDF versions and then reformat. We are working to get away from using such open-book written tests as part of coaching certification. We have been using the ITTF coaching certification process, but USATT is also working on developing our own Coaching Education and Certification Process. I was involved with this at the start, working with HPD Jörg Bitzigeio, but he's taking the lead on this, and we hope to have something within a year. Reading and emailing with USATT board members on various issues, such as the U.S. Olympic Selection Procedures and on Fund-raising. I was more active in the Olympic Selection Procedures discussion previously, but I've had my say and for now am mostly out of it. As I blogged about previously, it's not even a board decision since the High Performance Committee makes these decisions. A bunch of time helping one of our coaches with college homework. Working on a feature article on a Chinese coach who needs the article to help with his visa. Updating, uploading, and printing flyers for the upcoming Hopes tournament at MDTTC. Cleaning the Newgy robot at MDTTC. Reviewing the latest draft of a possible letter to the ITTF on enforcing the service rule. Reviewing the latest draft of my recommended changes to the USATT board code of conduct, which I hope we can vote in the Feb. 11 teleconference, likely my last meeting as a board member. The weekly blog and tip of the week. A myriad of other small issues and emails that add up, and allow me to use the rarely used word "myriad." I'm not planning on taking sides in the upcoming USATT election, where three powerful table tennis people are in a Game-of-Thrones Battle-to-the-End No-Holds-Barred Punching Extravaganza over who will get the At-Large position I currently hold on the USATT Board of Directors. (Okay, I made most of that up and they all get along fine, but they are running for the position.) The three running for the position are Mike Babuin, Bruce Liu, and Lily Yip. All have long and extensive table tennis backgrounds. I'll link to their online election items as they come up. There should be a USATT news item on this soon. If you are an adult USATT member, you will receive the ballots, presumably sometime this month. Here are some election links that just went up. Lily Yip has a news item on her running for the USATT board, which includes a link to her Campaign Statement. She's here in Maryland for a psychology seminar. She will be stopping by MDTTC this afternoon to watch our afterschool program. Here's the ITTF news item. Here are current open positions - yes, YOU can work for the ITTF!!! Here's the news item on my home club. Butterfly was the MDTTC club sponsor since it opened in 1992, but JOOLA, which has been sponsoring the Talent Development Junior Program that trains at MDTTC, is now the club's official sponsor, as of Feb. 1. I'm still sponsored by Butterfly. Here's the ITTF home page for the event held this past weekend (Feb. 1-3) in Guaynabo, Puerto Rico, with results, articles, video, and pictures. USA's Kanak Jha won silver in Men's Singles, losing the final to world #6 Hugo Calderano of Brazil, 2, -12, 3,8,10. USA's Wu Yue won Bronze in Women's Singles. Here are some links. Table Tennis Serve - Where Should the Ball Bounce on Your Side of the Table? Here's the video (4:24) by Eli Baraty. Here's the video (60 sec) by Heming Hu. Here's the interview with the world #6 from Brazil, by Matt Hetherington. Here's the video (34 sec). Great angle. Note the placements - he's going mostly to the forehand and middle here. Here's the world #6 from Brazil (the highest ranked South American player ever), and just won Men's Singles at the Pan Am Cup over USA's Kanak Jha. Now you see what Kanak was facing! Here's the article with links to video. Neglected Footwork: Learn About the 10 Situations!!!! Here's the article on Andrew Baggaley winning the ping pong world championships for the third time. (That's a $100,000 tournament with sandpaper rackets.) Here's the home page for the event, which I linked to last week. Here's the article and lots of videos. Here's the article and video (52 sec) from NY Newsday. Here is Chapter Seven of Tim Boggan's History of U.S. Table Tennis, subtitled "Annual US Table Tennis Youth Cup, 1996." Or you can buy it and previous (and future) volumes at www.timboggantabletennis.com. Volume 22 is 469 pages with 1447 graphics, and covers all the wild things that happened in 1996-97 - and I'm mentioned a lot! Why not buy a copy - or the entire set at a discount? Tim sells them directly, so when you order them, you get it autographed - order your copy now! Here's the video (5:50) featuring Sid and Nandan Naresh. Here's the video (6:52). Others there (besides 4-time U.S. Men's Champion and Olympian Butler) include Houston Astros 1st Baseman Tyler White and Houston Rockets GM Daryl Morey. Here's the video (1:42). Toward the end a dinosaur shows up! Here's the video (35 sec) of the two stars from Sweden and Finland. It must be a hot day! Here's the video (11 sec)! Can you name the players? Scott Preiss is The Ping-Pong Man. Here's a new video (69 sec) featuring him by Jim Butler. "Scott Preiss "The Ping Pong Man" is the most entertaining man in table tennis. Just recently in a tournament, he made one of the most amazing shots in table tennis. (Jim also shows this in his video.) I'm not sure what the odds are of pulling this shot off, but it's close to impossible because Scott has to guess his opponent is going to the exact spot he attempts the acrobatic shot, and all the timing must happen perfectly. What a shot!" The Ping Pong Kid Has New Moves! Here's the video (3 min), from George Takei Presents. Progressive Drills to Improve Your Rallying Skills. So why would you want to serve on a USATT Committee? Other than that it's much more fun than jamming a red-hot poker down your throat while dancing on a ping-pong table in the vacuum of outer space? Well, it's either serve on a committee or go practice, and we all know how hard it is to practice. Many people complain about USATT, but few actually step in to help out. This is your chance to not only help out, but you can get your "I can now complain about USATT without being a lazy hypocrite" membership card. There's a good chance you are an "expert," or at least reasonably knowledgeable, about one of these 17 areas. Take your pick!!! I've served my time, many times over. Besides being on the USATT Board of Directors, I've chaired the Coaching Committee the last two years, as well as from 1991-95. (My terms for both expire around March 1, and then I'm free to practice and swallow red-hot pokers while dancing on a ping-pong table in the vacuum of outer space. I've told USATT powers-that-be that I don't want to chair any more committees, though I may consider staying on the Coaching Committee.) I've also chaired the League Committee, Club Committee, and Resident Training Program Committee, and have been a member of the Junior, Senior, Grassroots, and Ratings Committees, as well as a member of the Coaching and Club Committees when I wasn't chair. Much of committee work is setting or recommending policy. Other times the committee takes the lead in an activity. Some of them work closely with the full-time staff members. For example, the High Performance Committee, Coaching Committee, and Junior Committee all work closely with the USATT High Performance Director. Committee work can be both greatly rewarding and terribly frustrating. 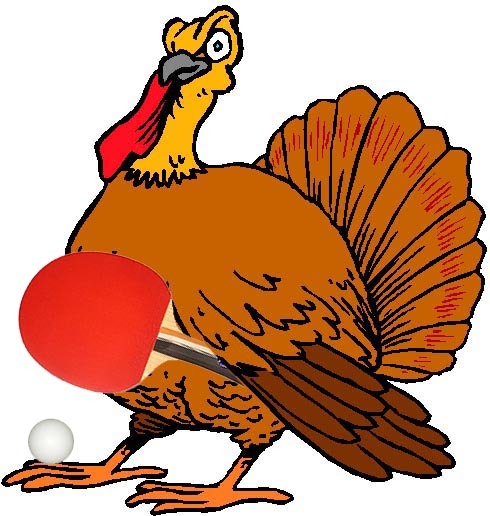 Some of my favorite moments in table tennis have been when something from a committee became a reality that changed the course of USATT history, and with no red-hot pokers involved. We did some ground-breaking stuff in my first term as coaching chair and when I chaired the club committee. You can do the same. If you have some great idea you want to work on and develop, here's your chance! There have been down moments as well. Once, in a USATT Strategic Meeting, we broke up into smaller groups to focus on specific areas. I was in the Full-Time Training Centers group with five others. (So technically, this wasn't committee work, but it was the same thing.) At the time there were only about five such full-time training centers in the country, the first of which was the Maryland Table Tennis Center, which I co-founded in 1992 and still coach at. I'd created a successful model that was copied by others, and I could see the future was in such centers. (I was right - there are now 94 full-time training centers that I know of.) So I could reasonably say I was an "expert" on the topic. So what happened? One person took over the meeting. We could barely get a word in as this one person, who had never run a full-time center or even a club, and literally had no idea what he was talking about, went on and On and ON about what we had to do. When I managed to get a few words in pointing out some realities that contradicted his world-view, it only got him more assertive. I finally sat back and gave up, and only sort of listened as the four others bickered with him for 60 minutes. When we reported back to the main group, the Type A Personality who had taken over the meeting gave a report on his views, and I then pointed out that these were his views, and that the others in the group had very differing views. It was a wasted meeting and a wasted opportunity. On the other hand, I've been in committee meetings where people came prepared, they respectfully listened when others spoke, they discussed various experiences, ideas, and visions for the sport, we came up with great plans and policy, and unicorns nuzzled our hands and we played ping-pong with angels. In the Beginning Class on Wednesday, we did forehand and backhand review, and started some on side-to-side footwork. However, the focus was on deep serves. Before the session began I cut twelve five-foot pieces of string. I also brought in a case of water bottles and a ruler. I put 24 water bottles on the four corners of six tables. Then I put the string across the end of each table, ten inches from the end-line. Then, after a demo, they spent ten minutes trying to serve and hit the bottle, with the first bounce past the string. (In the demo, I kept asking the kids if they thought I could hit the bottle, and three times we bet push-ups. I hit the bottle all three times. 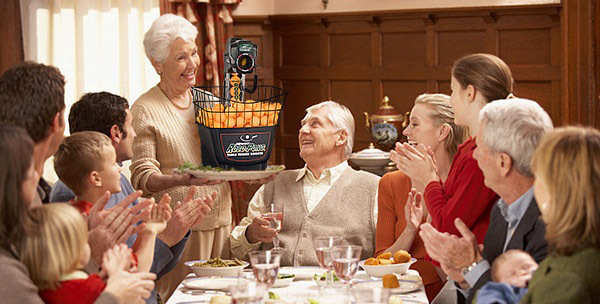 Our kids will have superior upper-body strength due to my serving accuracy. I can hit a bottle on the far corner probably 80% of the time with my normal forehand pendulum fast serve. ) As usual, we finished with games, with the older kids playing up-down tables while the younger ones did various target practice games, mostly involving stacked cups. 2019 Hungarian Open Recap by Steve Hopkins. Highlights of the 2019 All Japan Championship Men's Singles Final (2:59). Here's the home page for the event held this past weekend in London, where they players use sandpaper rackets. Congrats to Andrew Baggaley (ENG), who defeated defending champion Wang Shibo (CHN) in the final to win for the third time. Here's the USATT news item by Hall of Fame Chair Sean O'Neill. Here's the article by Samson Dubina. "Just like any other table tennis skills, developing a tactical mindset takes discipline." How Long Does It Take to Become a Pro at Table Tennis? Here's the article by EmRatThich. "Let's learn the secret to be a very good player in table tennis." Here's the article by Eli Baraty. "How important are table tennis balls and do the characteristics and different ball companies, truly affect your game?" Here's the article by Coach Jon. "Every now and then a lightning bolt of an idea strikes." Here's the video (11:37) with Craig Bryant, from Tom Lodziak. Here's the video (16:35, in Japanese, with English subtitles). Here's the video (17 sec) of the world #15 from Germany as he does backspin serves that bounce back into the net. Here's the ITTF article. "Winner last year of the boys’ singles title at the Pan American Junior Championships in Santo Domingo, four months later the same record of success at the senior version in Santiago; even though only 18 years old Kanak Jha of the United States heads the challenge from north of the border at the forthcoming Universal 2019 ITTF Pan America Cup." Here is Chapter Five and Chapter Six of Tim Boggan's History of U.S. Table Tennis. They are subtitled "The Old and the New" and "March - April Tournaments." Or you can buy it and previous (and future) volumes at www.timboggantabletennis.com. Volume 22 is 469 pages with 1447 graphics, and covers all the wild things that happened in 1996-97 - and I'm mentioned a lot! Why not buy a copy - or the entire set at a discount? Tim sells them directly, so when you order them, you get it autographed - order your copy now! Here's the ITTF video (4:42) with the world #16 from Austria and Adam Bobrow. Here's the article and video (2:38) on this Wisconsin club. Here's the article and videos featuring the Wilmington TTC in North Carolina. Here's the video (1:45)! Also playing is his apprentice, The Little Green Sprout. Here's the video (2:14)! He uses both a ping-pong paddle and a tennis racket; hits under his leg; imitates John McEnroe; and demonstrates "The Fantasma"! Non-Table Tennis - "Christmas GI Joes"
The story just went up at Factor Four Magazine. (Alas, you have to buy a subscription to read it.) What happens when there is an alien invasion, and there's only one person with the distribution system to get the needed weapons to everyone to defend Earth? He didn't want to do it, but after calls from the presidents of every major country begging for his help, Santa Claus gave in and instead of toys, distributed AK-47's and Glocks to the world on Christmas eve. . . and one other thing. The Grinding Mentality - How to Play It and Against It. I ran two group sessions on Sunday. The first was Week #2 of this season's Beginning Junior Class. (Lidney Castro and Aron Zhang are assistant coaches, with Todd Klinger a practice partner.) We did forehand review for 20 minutes, and then the focus was on the backhand. As usual, we finished with games, with half the class playing "King of the Table" (no girls there so we can use the "King" title), and the other half (the younger kids) building the usual pyramids and walls out of paper cups on the table and then knocking them down as I fed multiball. The advanced junior program at MDTTC is the Talent Development Program, which is run by the HW Global Foundation, using mostly MDTTC coaches. Normally John Hsu runs groups 3-4, but he was out of town this weekend so I ran them. It was mostly a multiball session, where we went through a series of nine different drills. Most of the groups were of three, where one player did the drill while the other two stood behind, shadow-stroking and shadow-moving. Then we did ten minutes of serve practice, and then Brazilian Teams. Then we had a big meeting, where the 30+ kids voted for "Best Teammate." I've never been thrilled with this type of vote as those who don't get votes may feel left out, and it's basically a popularity contest between the stronger kids. But the winners here were deserving - Stanley Hsu came in first, Stefanie Zhang second, Hanfei Hu third. Afterwards the coaches, as usual, went out for dinner where we discussed the players. I excitedly told them about one of the players in the Beginning Class who likely will be in the Talent Program soon. And there are other possible ones as well. One six-year-old already mimics the top players in his stance and strokes, and it won't be long before he develops consistency to go with that. So even if the USATT board were to vote against this, it would be meaningless as the bylaws make it clear the HPC has this authority, not the USATT board. (Changing that would require a bylaw change, which requires 2/3 of the board, which has zero chance of happening.) As I noted before, I'm on the USATT board and never saw these procedures until after they were published. Here's the part about the USATT statement above that bothered me. It includes the following statement: "…those raising concerns would prefer that more, or all of the team positions be filled by the Olympic Trial result only." (I bolded the word "only.") I want to make it absolutely clear that this is NOT what I've argued for, and that the USATT response is NOT a response to what I've argued for. "But if we believe they [top USA players] are good enough to have earned their spots, doesn't that imply they have earned that right by showing they are medal contenders by their international performance? So why not simply put it in the pre-qualifying rules that whatever it is they did to earn that right means they pre-qualify?" "I envision a future where we have trials for only one spot because the other spots are all taken by players who prequalify by being medal contenders. But we haven't reached that spot yet." What I have argued for is that, if we get six players (3 men, 3 women), that at most only one player per team be selected by committee. That leaves two spots on each team by pre-qualifiers AND Trials, and we could adjust the pre-qualifier rules so we are assured that our best players make the team. They would, of course, likely be selected anyway by the committee, but this gives the committee more leeway in the final selection, including taking doubles into account. At no time did I say anything like "Olympic Trial result only." I emailed the four signees to the letter, and I was assured that the USATT Statement was NOT a response to me, but to the numerous others who have voiced objections. I just don't think that the "only" part of the USATT statement accurately reflects the arguments made by a lot of people, including me. It's only one word, but it dramatically changes the meaning of the statement. Here's the ITTF page for the event this past weekend Budapest, Jan. 15-20, with results, news, video, and pictures. Here's the Day Four review (1:42), covering the finals. Here's the USATT info page. Liam Pitchford Equipment and Playing Style - he's the world #16 from England. Here's the video (43 sec) as Gary Fraiman uses a barrier to get a student to stroke forward and up, to put topspin on the ball. Here's the article by Coach Jon. "If serendipity is a chance occurrence in a happy or beneficial way, table tennis appears to be a very serendipitous sport. Even if you remove all the nets and edges, there are times when players are just in the right place at the right time." Ma Long Injury "more serious than expected"
Here's the ITTF article. "Over five months have passed since Ma Long last completed a match of international Table Tennis: his round of 32 defeat to Liam Pitchford at the ITTF World Tour Bulgaria Open on 16 August 2018." … "When Ma Long injured his knee last year, at first he did not realise that it was especially serious. He thought that he would be able to make a quick recovery." Here are two articles about and by the great Indian champion. A Ping-Pong Robot at CES 2019 Made Me Wonder: Could I Go Pro? Here's the article. "CNET's Katie Collins gets a glimpse of the elite sporting career she might have had." Here's the ITTF article on the world #61 (previously #11) from China. Here's the ITTF article by Richard McAfee. Here's the article by Johnathan Humbles on Canadian stars Eugene Wang & Mo Zhang in Mixed Doubles at the Canadian Championships. Here's the article and pictures by Mike Lauro. Here's the USATT article by Robert Ho. Here is Chapter Four, subtitled, "Readership offered two magazines." (The second option? Table Tennis World, a new independent magazine I started that lasted three issues.) Or you can buy it and previous (and future) volumes at www.timboggantabletennis.com. Volume 22 is 469 pages with 1447 graphics, and covers all the wild things that happened in 1996-97 - and I'm mentioned a lot! Why not buy a copy - or the entire set at a discount? Tim sells them directly, so when you order them, you get it autographed - order your copy now! Adam Bobrow vs TableTennisDaily's Dan! Here's the ITTF video (53 sec)! Here's the video (32 sec) - they make good targets! Here's the video (20 sec) of playing table tennis . . . with a table! Jean-Philippe Gatien Having Fun at a Ping-Pong Bar! Here's the video (44 sec) of the 1993 World Men's Singles Champion goofing off. Here's the video (3:39), featuring French stars Jacques Secrétin, Patrick Renversé, Francois Farout, Patrick Mozola, and Jean-Marc Boiteux. Non-Table Tennis - My 100th Science Fiction Sale! Last week I sold my 100th short story! "Confederate Cavalry on a Plane" sold to the Space Opera Libretti anthology, which will come out this fall. It's a humorous SF romp through physics, time, and alternate universes, about a physicist on a Boeing 737 who claims that, with essentially infinite universes, anything you can imagine happens somewhere. So his student bets him there is no universe where there are Confederate cavalry running down the plane's aisle. Um . . . yes there is! The story is 4700 words long, about 22 pages double spaced. 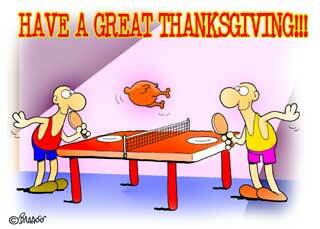 (Sorry, no table tennis.) I've also sold four novels. Here's my science fiction page. Top Ten Things to Remember in Doubles. The 2020 Olympic Games Athlete Selection Procedures went live a month ago on the USATT Selection Procedures page. Although I'm on the board of directors for USATT, that was the first time I saw them. They were created by the USATT High Performance Committee (HPC) and the USATT High Performance Director (HPD). They are our designated experts on these topics, and so in most cases, even though I would probably be considered an "expert" on these topics as well, I normally defer to them on these matters. However, in the case of the procedures planned for choosing USA table tennis players for the 2020 Olympics, I simply can't agree. The procedures are a bit complex. However, in simple terms, the most likely scenario is that we will have six Olympic spots, with a committee selecting 4 of those 6 spots, and the other two spots going to the winners of the Olympic Trials (one man, one woman). The committee that would choose the rest of the team would be made up of the HPD; the chair of the HPC; two USA National Team Coaches; and one of the Athlete Representatives on the USATT board of directors. Here are the main arguments for having so much of the USA Olympic Team selected by committee instead of mostly be an Olympic Trials. Trials can be erratic - a weaker player may get hot, while a stronger player has an off day or is sick or injured. So if you want your best team, you should bring in your best experts to select them. Trials favor those who play against players from their own country, who they are used to playing against. If we want to challenge other countries, we need to send the players who do best internationally. Doubles is now part of the Olympic Team Competition, so choosing the team based on singles play ignores the doubles aspect. Now putting aside the fairness aspect, and arguing strictly on the idea of maximizing our chances of winning medals, these are all good arguments. But much of this goes against our sense of fairness. Heck, experts are often wrong - I've been told by multiple sources that Deng Yaping, arguably the greatest women player of all time, was sent home from the Chinese National Team three times because the coaches didn't think she had the potential to be great, due to her short height and unconventional playing style. Many thought Eric Boggan's playing style wouldn't work past the junior stage, and he became the highest ranked USA male player in the sponge era (#17 in the world). When we are in contention to win medals, then sending those medal contenders is the top priority. But until we reach that point, we shouldn't be selecting by committee which non-medal contender should go over another. It defeats the argument that we are trying to win medals by using committee picks that don't affect our medal outcome, and only affects which non-medal contender gets to be an Olympian and which non-medal contender stays home. I'm not 100% against any committee selections. There could be a compromise where the final player on each team is selected (so two make each team by Trials, assuming no pre-qualifiers), so we can make sure we get our "best" player to the Olympics, in case he has a bad day at the Trials, or is sick or injured, or in case the coaches want a doubles specialist. We could also have two Trials, with perhaps the two winners making the team. This takes out the problem of a player being injured, sick, or just having a bad day. But setting it up so that we will likely select by committee 4 of the 6? I don't agree with that. This is the OLYMPICS, the biggest sports event in the world, and players should directly earn their right to be on that team. Another problem we face in having so many committee selections is the simple reality that the players involved are hesitant to complain about the procedures for the simple reason that it would give the appearance they don't trust the ones making the selections (who also created the selection procedures), and so could influence whether they would be selected. This is NOT a criticism of the committee's integrity in any way, but a simple reality that would be true no matter who was on the selection committee. It's a natural concern. I've already had four players tell me they are afraid to speak up for this reason, and others have told me they have heard the same thing. My suggestion is they go to the player reps to voice their concerns, but ask to be kept confidential. If you have a strong opinion on this, either for or against, and especially if you are a top player who might be trying out for the 2020 USA Olympic Team (or the coach of one), feel free to contact the USATT Board, especially the player reps (listed at the end), High Performance Director Jörg Bitzigeio, the High Performance Committee (contact info in the USATT Committee Listing), or the USOC Ombudsmen (contact info at the end of the 2020 Olympic Games Athlete Selection Procedures. We had one on Thursday, Jan. 3, for a little over an hour. Topics were the CEO search, Strategic Priorities, and a personnel matter. The Strategic Priorities will likely be voted on at our Jan. 14 teleconference, and then published. (We usually have only one per month, and three in-person meetings per year.) It was initially our Strategic Plan, but I refused to approve it as a "plan" since, at this point, there is no plan in it, just a list of priorities and goals. So we changed it to "Strategic Priories." I'm assured that plans will be added later. We started a new ten-week Beginning Junior Class on Sunday, 4-5:30PM. There are 14 in the class, with John Hsu and Lidney Castro assisting. I've been teaching these classes for years. U.S. #1 in Ten and Under Boys (and ten and under champion at the Nationals and Open) Stanley Hsu started in my class, as did many others. For the first session, the focus was on grip, ball bouncing, stance, and forehand. Then we finished with games, with the class split between Up-down tables and building the Pretty Good Wall of China out of paper cups on a table, and then taking turns knocking it down as I fed multiball. From 5:30-7:15 we had the advanced juniors. I fed multiball for half the session, then worked with four of them on serves. One of the kids I worked on made a huge breakthrough - out of nowhere, he suddenly is getting great spin on his backhand serve! After the session ten of the coaches went out to dinner, where we discussed each player. Here's the ITTF announcement of their hiring of the former USATT CEO. Gordon resigned to take this job - we're going to miss him! Facebook Live Q & A Session. "On Saturday, Jan 12th at 5pm, I'll be doing a Facebook Live Session answering your table tennis questions." It Ain't Piano. "If you ever took piano lessons, you probably know that there is a very systematic approach for beginners." 20 Different Opponents! "Playing the right tactics is one of the vital keys to winning your next match. In order to know which tactics to play, it is often helpful to label your opponent as a looper, chopper, lobber, blocker, etc. Once you have placed him in a category, then you can begin making a game-plan." 5 Levels of Communication. "To reach your highest potential, you and your coach must communicate on a detailed level realizing that communication is a two-way street." Here's the article and video (5:23) from EmRatThich. Here's the article and video (3:36). Strawberry Flips . . . Forever! Here's the video (47 sec) of this extremely deceptive shot. Stefan Feth popularized and coined the term "strawberry flip." It's the opposite type of sidespin on a banana flip, and he told me that he needed another fruit to call it, so came up with strawberry! (A banana flip is called that because the forward swing of the stroke is banana shaped.) The player doing it here is Romain Ruiz of France. Here's the video (6:16) with English subtitles. Here's the video (8:10) from Table Tennis Destiny. Exclusive Interview: Brazilian Table Tennis Star - Hugo Calderano! Here's the ITTF video (7:14). He's the world #6 from Brazil. Here's the interview by Ayan Bagchi on my fellow Hall-of-Fame coach at MDTTC. Peace. Passion. Pride. Unified Korea! Here's the ITTF article on the unified Korean team that will compete at the 2018 Worlds. Includes link to video (14:38). Here's the article by Coach Jon. "Well, 2019 is here and it’s time to make some table tennis resolutions. I’m always willing to make a few suggestions as to how you might have a more successful year playing your favorite sport." Here's the article featuring Estee Ackerman. Here's the article and pictures from Shashin Shodhan. Here's the ITTF video 6:40) from DHS. Here's the video (41 sec, including slo-mo replay). Here's the podcast - Dec. 31 broadcast, Show 262 (table tennis is from 19:20-19:40), featuring Tristan Parody, a 17-year-old pianist from Burbank, California. (She's introed at 15:10.) "I know you're on the tennis team. I hear you're a vicious competitor at the ping pong table as well." "Many people I play in ping pong I learn from. Each person I play I learn from them and then, I destroy them." Here's the video (13 sec). Here's the ad (15 sec) from Cox Communication for their ping-pong game played as pandas, with Gigablast Internet. The Next Point is the Biggest Point of Your Life. Many thought the Men's Final would be an execution, with the way Wang was playing - could anybody beat him? (He's previously won the U.S. Open in 2012 and 2013.) But Kanoya of Japan went up 3-1 in games. And then, a seemingly innocuous occurrence apparently changed everything. On the second point of give five the umpire, apparently correctly, faulted Wang for not tossing the ball up at least six inches. Wang has a habit of following the ball up with his tossing hand, and according to most referees, there must be six inches of clearance between the hand and the ball. (Here's video, and here's discussion at Mytabletennis.net.) But Wang may have used this for incentive, because for the next 2.5 games (including an 11-1 game six thumping) I don't think anyone on Earth could have beaten him, not Ma Long even Fan Zhendong. Then, down 3-8 in the seventh, Kanoya ties it up 9-all. Wang leads 10-9 and finally wins 12-10 in the seventh! Final scores were 9,-12,-11,-9,7,1,10. On the women's side, it was Liu Juan over Lily Zhang, -4,12,7,-8,5,12. As to coaching, Coach Wang Qingliang and I were coaching the Maryland contingent, with Stanley Hsu easily winning 10 and Under Boys' Singles, winning in the quarters, semis, and finals by scores of 7,3,6,6,4,6,6,6,5. He and Mu Du won 10 and Under Boys Doubles, going 5-0 and 15-2 in games. The two are #1 and #3 in the country now in 10 and Under Boys with ratings of 2129 and 1989. I was pretty happy about the doubles as I've been working with them once a week for about 45 minutes for the past two months, and it's paying off - their doubles play has really improved, especially in their positioning. My table tennis books were on sale at the Butterfly booth, and several sold out. I think I signed over 20 copies during the Open. You can buy them at Amazon or Butterfly. After the Open I spent a day at Universal Studios, where I bought Batman and Dr. Seuss pens (I sort of collect SF & fantasy-type pens), and rode the following rides: Men in Black, Simpsons, Harry Potter, Hogswarts Express, Jurassic Park water ride (got wet), Spider-Man, Shrek, and the extremely scary Hulk roller coaster. During the Open I spent my nights eating pizza and reading in the hot tub. And I almost forgot - HAPPY NEW YEAR!!! I didn't take careful notes during the USATT board meeting, held most of Saturday and Sunday, Dec. 15-16, but the minutes of the meeting should go up sometimes probably in January, after they are approved by the USATT Board. Here's a very quick rundown of what was covered: Review of September meeting minutes; Status report of U.S. Open; High Performance update; Committee reports - I have the Coaching Committee report, and there were others from the Club, Juniors, Rules, Tournaments, and High Performance Committees; Foundation report; Proposed bylaw amendment to create Paralympic High Performance Standing Committee; Tournament Update Ideas; Discussion of Strategic Plan, now renamed Strategic Priorities (because I refused to approve it as a "plan" since it is not, at this point, a plan); CEO search plan; SafeSport audit; Financials; and Planning for USATT General Assembly. We had the USATT Assembly on Tuesday night, Dec. 18, from 7:00-8:42PM. I counted 33 attendees, including four USATT board members; myself; Ed Hogshead, who ran the meeting; Deepak Somarapu; and Gary Schlager. Also attending were USATT staff members Mark Thompson (COO); Chris Mauro (accountant); Jörg Bitzigeio (High Performance Director); as well as former CEO Gordon Kaye, who had resigned as of Dec. 1. Also attending were committee chairs Carl Danner (High Performance), Linda Leaf (Nominating and Governance), Ed Hogshead (Clubs) and myself (Coaching). Other luminaries were USATT attorney Dennis Taylor and long-time official Wendell Dillon. The meeting began with a video of our High Performance athletes. Next Gordon read an election statement from Mike Babuin, who is one of three know people running for the At-Large spot I currently hold. (As noted previously, I'm not running for re-election - too busy. Others who are planning to run include Bruce Liu and Lily Yip.) Then came a thank you plaque to former CEO Gordon Kaye; discussion of our upcoming elections and committee openings; finances; SafeSport; Membership numbers; CEO search; Strategic Priorities; USATT tournaments; Ranking tournaments (especially Hopes); and Hardbat. On a side note, five of the seven people I know of who have expressed interest in being our next CEO were in attendance, but I'm not going to give out those names at this time. I made a proposal at this meeting, which I've also discussed with others. For many years, we held team events on the first day of the U.S. Open - Men's and Women's, Junior and Cadet Boys and Girls. But sometime in the 1990s they stopped running them. Jörg Bitzigeio (HPD) and I are discussing bringing them back. It gives added incentive for foreign countries to send their players, plus it's international experience for our players without having to travel internationally. At this year's U.S. Open, on the first day, Sunday, Dec. 16, we had all of the tables set up, but only a fraction used for the two events run that day - Paralympic events and the Ranking tournament, so players without ratings could establish their level for seeding purposes. I proposed that we do two additions. First, we add the team events. Second, we run all the hardbat events on that day, with the option to run some finals on following nights. This way there's no conflict between hardbat and sponge events, so players can play both. (At this Open you mostly had to choose, with Hardbat getting its own "track," where you played only hardbat.) We have lots of tables, so why not use them this way? We have a USATT board teleconference this Thursday at 7PM eastern time, where we'll be discussing the CEO search, Strategic Priorities, and personnel matters. The next day, Friday at 9:15PM, the Coach of the Year Committee meets to go over this year's nominations. As readers here know, I retired from private coaching in March due to shoulder problems. Since that time I've run lots of group sessions, and did simple demonstrations, but no serious play. But the shoulder is probably 90% better now. During the Open I was a practice partner each morning for our kids, and had no problems. A couple of days ago I volunteered as a practice partner during our Christmas Camp, where I spent 90 minutes not just blocking for someone, but did the drills myself - especially looping and footwork drills. I'm pretty stiff, but the shots are still there, and I can still do long rallies in a drill. My guess is I've got a ways to go before I can play games that well. However, regardless of the shoulder, I am retired from private coaching. But there's a good chance I'll play some events at the U.S. Nationals in July in Las Vegas. Here's the USATT news item. Yep, after two years as coaching chair (and a previous four-year term), I'm stepping down as coaching chair - just too busy. So why don't you apply for the position? My term ends on March 1. Information is in the link. Choose Heavy or Light Racket - Which One is Better? Liu Guoliang: "We need to focus on Tomokazu"
NEW Samson Dubina Table Tennis Academy! Here's the article from Ben Larcombe. "Have you ever heard a fellow table tennis player described as having great 'feeling'? It's clearly a good thing, but what does it actually mean? And how do we improve our table tennis 'feeling'?" 2018: An unforgettable year for table tennis! Table Tennis in 2018: a year to remember in the media! I've been gone three weeks, and there's been a LOT of new items up on these three sites! So why not browse over them? Here's are links to a huge number of videos of top players and their serves. Here's the video (3:20, from August) of Wang Hao, the 2009 World Men's Singles Champion and 3-time Olympic Men's Singles Silver Medalist. Here's the article by Steve Hopkins on my club. USATT has started to put up Tim Boggan's latest volume, which covers 1996-1997. Here is Chapter One and Chapter Two. Or you can buy it and previous (and future) volumes at www.timboggantabletennis.com. These chapters cover "International happenings" and "Member Interactions." Volume 22 is 469 pages with 1447 graphics, and covers all the wild things that happened in 1996-97 - and I'm mentioned a lot! Why not buy a copy - or the entire set at a discount? Tim sells them directly, so when you order them, you get it autographed - order your copy now! Here's the article from the National Collegiate Table Tennis Association. Here's the ITTF video (5:45). Here's the online poll, with athletes from six sports, including Fan Zhendong from table tennis. Alas, here are the current results, which give Fan 90 votes, or 1.1%. LeBron James leads with 3220 votes, or 39.9%. Here's the article on Spin DC, which recently opened. They are having a New Year's Eve Party tonight -maybe I should visit! Spin Table Tennis now have locations in New, Chicago, San Francisco, Philadelphia, Seattle, Austin, and Toronto. Here's the video (68 sec) featuring Estee Ackerman from News 12 in Long Island. Here's the video (10 sec)! Who needs a paddle to feed multiball? Here's the video (2 min)! The player on the left is a feature on Ibrahim Hamato, who has been featured many times, including this video (3:33) from last month. Here's the video (5:02) from Pongfinity! Here's the video (60 sec)! Here's the video (47 sec) as top players sing Jingle Bells! Here's the video (60 sec)! Table tennis starts about 15 seconds in. I'll be away the next couple of weeks for the U.S. Open and Christmas, so will skip the next two weeks. See you on Monday, Dec. 31! The U.S. Open will take place in Orlando, Florida, Dec. 16-22. I'll be there to coach and attend meetings. I fly out this Friday, Dec. 14, and will likely attend the "Pong on the Plaza" event that night, 5-7PM (see link below). Then I will attend the USATT Board meeting, held all day long on Sat & Sun, Dec. 15-16. On Sunday there's also a "Rating Classification" event, and if I'm out of the meetings in time, I'll go over to coach our players in that. Then I'll be coaching MDTTC juniors throughout the tournament. I'll also be at the USATT Assembly at 7PM on Tuesday (see link below). Finally, on Sun and Mon after the tournament, Dec. 23-24, I'll be handing around, probably going to Disneyworld or Universal Studios, or perhaps just taking a reading/writing "vacation." Then I fly home late on Dec. 24, arriving home on Christmas morning! Here are some links. On Saturday, in the Junior League (which is half league, half coaching), I worked a lot with Stanley Hsu and Mu Du on doubles. They are playing in three doubles events at the upcoming U.S. Open. They are getting better at footwork and positioning, which is key to them playing well. One key thing for all doubles teams (with two righties) is recovering after going to the wide forehand, especially if the opponents hit to the same spot. Most players automatically move to the right to get out of the way of their partner, and so go way out of position for the next shot. It's important to instead take a step back so the partner can cut in front, and as the partner moves to the wide forehand, you move to the left and into position for the next shot. In singles, I spent a lot of time watching them and two other juniors who will be at the Open, especially focusing on what serves they are using. After watching one player play two games, I pointed out to him that he hadn't served short to the forehand a single time. But it turned out he'd thought it through - he said the other player had a good forehand flip, and he'd learned not to serve there or he'd face that flip to his wide forehand. I told him to give it a try next time as a variation, and anticipate that flip, and counter-attack. Plus, if the opponent is easily flipping your serve, then you need to focus on serving low!!! In the advanced Talent Program, as usual I did lots of multiball the first half. Then I had four players, rotating about. On one table, the player served short and attacked. On the other table the server had to serve long. We finished with physical training, and then around-the world! This started out as the title suggests, but sort of turned into a compilation of Behind-the-Back shots. Here's the listing - which is the craziest shot? Of course, these are only ones that were caught on video. I've seen some crazy ones that weren't caught on video, such as a Waldner underhand counter-smash (from way off the table) and Mike Bush lobbing the ball off the end but an air-blower blowing it back. But perhaps the best shot I've ever seen not on video was by the #1 14-year-old from England, circa 1987. He was visiting and training temporarily at the Resident Training Program for Table Tennis at the Olympic Training Center in Colorado Springs, CO. (I was the manager and one of the coaches.) He was playing Chi-Ming Chui, a pips-out penholder who was also about 14 and about 2150 rated. The English kid mishit a serve almost straight up, and Chi-Mind absolutely creamed the ball. Without backing up, the English kid turned his back to the table, jumped into the air, and did a wild no-look swing at the ball with the backhand side of his racket - and counter-smashed the ball on the rise!!! He was as surprised at making the shot as we were watching it. My best shot ever was a shot against left Allen Barth, circa 1980. He looped the ball to my backhand. I prepared to block, but the ball hit the net, and then the side edge on the left! As the ball bounced away, I did a diving, in-the-air backhand counterloop around the net that just rolled on the other side, unreturnable! US Girls Clutch Victory Over France at the 2018 World Junior Champs, by Matt Hetherington. Want to better run or promote your tournaments? Set up a club? Learn how to coach beginners? Set up a league? Better understand the rules? Here are some USATT guides that might help you! NEW Samson Dubina Table Tennis Academy! Opening in the Spring of 2019! Here's the article by EmRatThich. Here's the video (5:36) by Tom Lodziak. Here are two new links that go to English versions of this. Here are three features! On a related note, the MDTTC juniors (all part of the HW Global Foundation's Talent Development Program, which trains at MDTTC) had 24 players in the North American Teams. The ratings just came out - they averaged a 133-point gain!!! The three kids on the team I coached started at 1736, 1730, and 1668, and came out, respectively, at 1901, 1954, and 1827. They learned a lot not only on tactics, but on the proper mentality to play your best. WAB Club Feature: Maryland Table Tennis Center, by Steve Hopkins. Here's the info page, featuring the upcoming South Shore Open in Highland, IN, run by Dan Seemiller. Here's the article by Shashin Shodhan. Here's the ITTF home page for the event, to take place Dec. 13-16 in Incheon, South Korea. Here's the article. She's the 1936 and 1937 World Women's Singles Champion, the only USA singles champion at the World Championships (excluding Consolation Singles). Here's the article on the event to be held at the Westchester TTC, with Will Shortz, Board Member of Ping Pong Parkinson. Here's the new USATT article by Robert Ho, "The (Ma) 'Long and Short of the FH Loop.'" Here's the video (16 sec)! Here's the video (23 sec). Here's the video (19 sec)! Here's the video (23 sec)! Here's the article, with pictures and video! Style Disadvantage or Tactical Problem? On Saturday we had the usual Junior League, which is half league, half coaching. I spent some time working with many of our top juniors on doubles - I've sort of been put in charge of that. I worked with Stanley Hsu and Mu Du, who will be playing doubles together in three events - 10 and Under Boys' Doubles, Hopes Boys' Doubles, and Ratings Doubles. (If they can improve their positioning, they will do well.) In singles, we did a lot of work on serve and attack, forehand and backhand. Some of our players were following through off balance after forehand loops, and unable to get set for the next shot, so I spent a bunch of time on that, including demoing getting back into position quickly, even after a powerful forehand. Balance is key!!! (Dan Seemiller always emphasizes that, and he's right.) We also worked on attacking deep serves, and forehand attacking from the middle. On Sunday, in the Beginning Junior Class, we ran the players through a number of footwork drills, then introduced them to the "Hard-Soft" backhand drill, which really should be called the "Hard-Medium" backhand drill. One player alternates hitting a medium backhand and then a hard backhand, while the other player plays steady. Then we did some smashing drills (one smashes, the other tries to counter or fish it back). And then games! In the more advanced Talent Program, I spent the first hour or so feeding multiball - lots of footwork drills. Then we ran them through live serve and attack drills. We finished with physical training (ladder drills) and then Brazilian Teams. Afterwards, eleven of the coaches went out for Chinese food, where we discussed the players and future coaching plans. EmRatThich put together a nice shopping list, X-Mas Gifts for Ping Pong Lovers. I especially like the book he recommends!!! Since table tennis books are my forte, here are some choices for table tennis books for table tennis players, and that most especially includes you!!! (C'mon, help out us starving table tennis writers.) I'll start with my own books. Campaign 2100: Game of Scorpions, by Larry Hodges - a science fiction novel but with a lot of table tennis! Revelations of a Ping-Pong Champion, by Dan Seemiller - a great rundown of this five-time U.S. Men's Singles Champion's life. Ping Pong for Fighters, by Tahl Leibovitz - going from living on the streets to championship player and coach. History of U.S. Table Tennis, by Tim Boggan, Volumes 1-22. Yes, 22 volumes!!! Table Tennis: Steps to Success, by Richard McAfee. As you might know, I had my own book with this title, but they did a rewrite of it with Richard, and used the same title. My version is still on sale at Amazon, but only with used copies, so I don't get any royalties on these. Someday I might go back and update this and come out with a new version, tentatively titled "Table Tennis Fundamentals." The other big change was going to Orlando. We had a number of very successful U.S. Opens in Florida back in the 1980s and 1990s, in Miami and Fort Lauderdale - but they were in July, and players came for the beaches. The beaches in Orlando in December are too cold, but it has other features - Disneyworld and Universal Studios. We'd hoped they would attract lots of players, but apparently not. If you are at the U.S. Open and want to voice your opinion on this, there is a USATT Assembly at the Open on Tuesday night, Dec. 18. I'll be there. This weekend I learned that Navin Kumar will be acting and one of 16 co-producers of the movie Attack of the Unknown, which is currently in pre-production. You may have heard of him; he's a former student of mine (until shoulder problems led me to retiring from private coaching earlier this year) who's known as "The Bionic Man" as he has an artificial heart as well as Parkinson's. So there is now a Navin Kumar IMDB page. I wondered - how many USATT members (past or present) are actors (or related aspects such as writer, director, etc.) with pages at IMDB (Internet Movie DataBase). Here are the ones I know of (alphabetized) - comment below if there's anyone I missed, and I'll add them. Here's the home page for the event taking place right now in Bendigo, Australia, Dec. 2-9. USA Boys' Team: Nikhil Kumar, Kanak Jha, Sharon Alguetti, Nicholas Tio; Girls' Team: Rachel Sung, Rachel Yang, Crystal Wang, Amy Wang. Here are two USA articles. Here's the article. It was just a year or so ago that he was controversially removed from his highly successful tenure as head coach for the Chinese National Team. Is there going to be a "war" between him and the ones who removed him? Here's the article. In plain English, what this basically means is that JOOLA USA (founded and owned by Richard Lee, which was the JOOLA distributor for North America) has bought the German company, JOOLA, and its worldwide distribution. And I remember when Richard was an up-and-coming kid, training at MDTTC for years, and then winning national championships in every age group from Under 14 on up! Here's the article and videos by Brian Pace. "Are you a player that really struggles in tournament play? Do you have a problem translating your training into a viable tournament performance? Have you ever had your performance analytics broken down in a way that allows you to exactly pinpoint what you did in tournament play? If these question still leave you with no answer, then the “Tournament Play Video Analyzation” program created by Brian Pace at Dynamic Table Tennis is perfect for you." 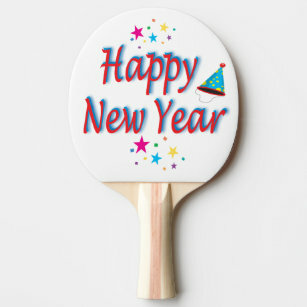 X-Mas Gifts for Ping Pong Lovers - he has a great idea for a table tennis book gift! What Is a Good Serve in Table Tennis? Kids - Learn 5 reasons why your son or daughter should start playing table tennis. Here's the USATT article on the North American Teams by Matt Hetherington. ***BREAKING NEWS*** - Here are the Ratings for the North American Teams, which were processed on Monday afternoon. Here's the article by Tahl Leibovitz. Here's the article by Coach Jon. "I've noticed that people from different parts of the world approach table tennis in very different ways. It's possible to learn something from all these approaches. Let's start our journey in the U.S. and move on from there." Here's the USATT article by Richard Finn. Here's the article on the event taking place at the Metropolitan Pavilion in Manhattan. Here's Episode 08 (15:20). Here's their home page, where you can find the first seven episodes. They feature table tennis player, coach, and artist Rocky Wang. Here's their About page. Final Countdown to the 2018 ITTF Star Awards! Here's the ITTF video (50 sec). Here's the video (30 sec, with slo-mo replay). Here's a site with lots of new videos. Here's the video (3:42) from Keenan Southall, where he covers his recent tournament in Kanas City. Here's the video - some are done "no look" style! Here's the video (8 sec)! Craziest Shot in Table Tennis on CNN! Here's the picture! (Here's the non-Facebook version.) Here's my May 25, 2016 blog which has, in the last segment, 21 links to big paddle pong. While we're at it, here are three repeating gif images of big-paddle play! Use Your Weaknesses or They Will Always Be Weaknesses. Or as I would put it, here we go again! It was my 43rd year in a row at the Teams, starting in 1976 as a player, but primarily as a coach the last decade or so. Here are complete results - you can use the dropdown menu to see the results of any division and the preliminaries. You can see any player's complete results by going to the Team listing and clicking on their rating. Here is video from the livestreaming. Alas, as usual I saw little of it as I was out coaching. Here are Pongmobile Photos from the North American Teams. Here's a video (25 sec) showing the sheer size of the playing hall - for 260 teams and 1002 players! I was primarily in charge of HWGF TDP#2, which was Stephanie & James Zhang, and Todd Klinger. They went in with respective ratings of 1730, 1736, and 1668. These were relatively up-to-date ratings - James has played in eight tournaments this year, Stephanie seven, and Todd 15, and all three played in the October MDTTC Open, and Todd played in the Southeastern Open in November. However, they had been training very hard, and Stephanie and James were in the USA Team Training Camp the week before the Teams as one of the locals. All three are among the hardest workers in practice, all came in primed and ready! So . . . how did they do? In short, they executed brilliantly!!! On day one, they were seeded to be in the ninth division, but they not only beat the two teams below them (5-0 and 5-1), but the team one ahead of them 5-3, and the team two above them 5-1! So they played the tournament two divisions up. At that point, they had already pulled off fifteen upsets (since the teams below them were lopsided, with higher-rated players combined with lower-rated ones). But their assault had only just begun. They were seeded last out of eight in their division, but beat the #1, #2, and #3 seeded teams, 5-1, 5-2, and 5-0! Overall, they basically dominated against 1800 players and played even or better with 1900 players. They finished 4-3 in the division - it turned out the lower-rated teams in the division were stronger than the higher ones, including our team. There were a lot of really interesting tactics used these three days, and I could write a book on just this One thing that worked really well was holding back on calling timeouts as often as possible until my players were up game point, and using the timeout to decide on what serve or receive to use. It worked really - over and over opponents would miss the serve we chose to go with. Players are so used to pushing to the backhand, or at most going to both sides, that they often struggle against a player who is much stronger on the backhand. We faced such a player. In the first match against this 1900+ player, our player pushed to both sides, and the opponent just waited for the push to the backhand, and ripped backhand loops over and over. So I told the player to push everything to the wide forehand, relentlessly, unless the opponent stepped over to try to play backhand, then push to the wide backhand. The opponent completely fell apart and after we lost the first game badly, we won the next three easily. One of the other two players played him and used the same tactic, and also beat this player. There's something almost mystical with how many times I'd call for a no-spin serve, usually during a timeout, and the opponent would dutifully push the ball three feet high. The key, of course, is that all three players knew how to serve "heavy no-spin," where you fake heavy backspin and serve no-spin, which is a basic serve at the world-class level. They usually didn't need me to call these serves as they learned quickly what serves worked against each player. "Attack the middle relentlessly" was a big winner for Todd and James, the attackers. Some matches were decided by a choice of whether it was better to move the ball around, or pin them down on their weak side, where you might then change directions off a weak return to rip a winner. A winning tactic in a number of matches was mixing the serves between short to the forehand (then going to their backhand while they are jammed to the table) or big breaking serves long to the backhand and jumping on the backhand returns. For attackers, the more often go-to serve is short or half long (so second bounce is right at the table edge), low to the middle (to cut off extreme angles), with backspin or no-spin, sometimes side-top. But if you do this too much, the opponent gets used to it. I think the players were surprised how easy it was to take away an opponent's attack by simply pushing quick off the bounce to the extreme wide backhand. This led to lots of four-ball attacks - serve, quick-push receive, server pushes, receiver loops. Sport psychology is a huge thing in table tennis - the game is more mental than physical. So much of the focus was on proper mental approach. James, for example, plays best when he lets go and "plays free." Stephanie plays best when she gets into "grinder" mode (see below). Todd plays best when he gains confidence, often by remembering his best matches. For Todd and James, the byword was relentlessly "serve and attack" and (especially for James), "play free." But this is true of most attacking players. For Stephanie, a chopper, it was "grind it out," which means a willingness to play as many shots as needed while refusing to make a single weak return, whether pushing or chopping, with a focus on strong chops against slow or medium loops and not worrying about the fast loops. I also developed nicknames for the three - Todd was Harry Potter (he looks the part, even wears glasses, and has about the same demeanor), James was Ron Weasley (because he makes the same type of funny faces that Ron does in the movies), and Stephanie was a tall Hermione (since she also has her demeanor). Stephanie is one of our regular volunteers for various activities, such as running our leagues and leads the junior team in warm-up exercises, while Todd is a volunteer practice partner for our beginning junior class that I teach. Pieke Franssen was the head coach. He was the primary boys' coach in the camp, assisted by Wei Qi, while Wang Qingliang was the primary girls' coach, assisted by Ying Peng. I wasn't a coach in this camp, though I observed two sessions, but I was a volunteer driver - including picking up a player at 6AM at Dulles Airport and dropping another off at 5AM (for a 6AM flight) at BWI! (Both airports are about 45 minutes away with no traffic.) On most days they had two three-hour sessions, plus physical training. On Monday, they had three training sessions! The final session was on Thanksgiving morning, then most were off to the hotel for the North American Teams. Here's the ITTF page, with complete results, news, video, and pictures for the event which finished yesterday in Santiago, Chile. Congrats to Kanak Jha on winning Gold in Men's Singles! For USA fans, here are USA results (one gold, four silvers) and articles featuring Team USA. 6 Types of Spin - Role of Acceleration - see in particular the part about racket acceleration being key to spin, not speed. Here are the articles (with links to video) by Ben Larcombe. Here's the article and video (7:53) by Tom Lodziak. Here's the article by Bill Draper, which also features University of Maryland and Nathan Hsu. Here's the article by Michael Reff. Here's the info page. "ePonger is software used by table tennis clubs worldwide to manage league games, player results, and reporting. It’s based on Microsoft Excel and runs standalone on any Windows PC that has Microsoft Office 2010 or later. It does not require an internet connection. It was originally developed by Jeff Pepper for the Pittsburgh Oakland Table Tennis club in 2013, and has been used since then at clubs around the world." Here are results and video. Here's the video (18 sec) as Arcot (near side) and Nandan Naresh go at it in their hotel room at the North American Teams, with some serious lobbing and smashing at the end. What, you've never done this before? You must lead a boring life. Here's the video (24 sec) - but he's doing four at a time, with two paddles and both feet! How Many Shots Can You Do in Ten Seconds? Here's the video (3:54) from Pongfinity! The Best Table Tennis Shot of 2018? Here's the video (46 sec, including slo-mo replay) - maybe the craziest shot of all time? Here are two other nominees for craziest shots of all time - the Kit Jeerapaet behind-the-back counter-smash (54 sec) and this crazy racket-edge chop-lob come-back return (6 sec)! Which is your pick, or do you have another? ADDENDUM (added Thursday) - CNN picked up on this!